The Abu Dhabi National Oil Company’s (Adnoc) plans to launch a new integrated gas strategy and increase its oil production capacity to 4 million barrels per day (mbpd) by the end of 2020 and 5 mbpd by 2030, following approval from the Supreme Petroleum Council (SPC), the highest governing body of the oil and gas industry in Abu Dhabi. The company also announced capital investment growth of $132.33 billion between 2019 and 2023 and new discoveries of 1 billion barrels of oil. Adnoc’s gas strategy will add potential resources that will enable the UAE to achieve gas self-sufficiency, with the aim of potentially transitioning to a net gas exporter. Adnoc also announced new discoveries of gas, totalling 15 trillion standard cubic feet (tscf). The gas strategy will sustain LNG production to 2040 and allow Adnoc to seize incremental LNG and gas-to-chemicals growth opportunities, where they arise, from the UAE’s dynamic demand-supply position and evolving energy mix. Dr Sultan Ahmed Al Jaber, UAE Minister of State and Adnoc Group CEO, says: "Our historic gas self-sufficiency strategy marks an important new, accelerated phase in the delivery of Adnoc’s 2030 growth strategy. We will continue to unlock and deliver increased and commercially viable production from our oil and gas reserves, in response to the world’s growing demand for energy. "The incremental increase in our oil production capacity will enable Adnoc to continue to be a reliable and trusted energy supplier that has the flexibility and capacity to respond and capitalise on the forecasted growth in demand for crude. "At the same time, the substantial investments we will make, in the development of new and undeveloped reservoirs, gas caps and unconventional resources, will ensure we can competitively meet the UAE’s growing demand for power generation and industrial use while maintaining our international commercial commitments and seizing incremental LNG and gas-to-chemicals growth opportunities," Dr Al Jaber adds. Adnoc’s integrated oil and gas strategy underpins its $45 billion downstream investment plans, announced last May, which will see the company triple production of petrochemicals to 14.4 million tonnes per year by 2025. In May, at its Downstream Investment Forum, Adnoc unveiled a blueprint to create the world’s largest integrated refining and petrochemicals complex in Ruwais, which will enable it to further stretch the value of every barrel it produces. The discovery of significant new oil reserves endorses the Abu Dhabi government’s decision, earlier this year, to open six geographical oil and gas blocks for competitive bidding. Based on existing data from detailed petroleum system studies, seismic surveys, log files and core samples from hundreds of appraisal wells, estimates suggest these new blocks hold multiple billion barrels of oil and multiple trillion cubic feet of natural gas. The first exploration and production licences are expected to be awarded in the first quarter of 2019. The licensing strategy represents a major advance in how Abu Dhabi unlocks new opportunities and maximises value from its hydrocarbon resources. It is also consistent with Adnoc’s approach to expanding its strategic partnerships across all areas of its business. The successful bidders will enter into agreements granting exploration rights and, provided defined targets are achieved in the exploration phase, be granted the opportunity to develop and produce any discoveries with Adnoc, under terms set out in the bidding package. Industry projections, Dr Al Jaber highlights, validate Adnoc’s integrated oil and gas strategy. For the first time, the world is on the verge of consuming 100 million barrels of oil per day, with oil consumption increasing by an additional 10 million barrels per day by 2040, he says. Over the same period, demand for natural gas will increase by 40 per cent, while the market for higher-value polymers and petrochemicals will grow by 60 per cent. Adnoc has set an ambitious new oil production capacity target, committing to add some 1.5 million barrels per day by 2030, at a time when concerns over long-term supplies have been building after years of underinvestment in the industry. Under the surprise plan, approved by Abu Dhabi’s Supreme Petroleum Council (SPC), the emirate’s top oil and gas decision-making body, Adnoc will boost crude output capacity to 4 mbpd by 2020 and to 5 mbpd by 2030, the state giant says. The 2030 target would potentially make Abu Dhabi the third-largest Opec producer after Saudi Arabia and Iraq, which aims to reach 6.5 mbpd by 2022. "The incremental increase in our oil production capacity will enable Adnoc to continue to be a reliable and trusted energy supplier that has the flexibility and capacity to respond and capitalise on the forecasted growth in demand for crude," Dr Al Jaber says. Under Al Jaber, Adnoc has undergone a strategic overhaul aimed at boosting efficiency and realising synergies across the company’s multiple subsidiaries and affiliates. The overhaul also included widening Adnoc’s partnerships to bring in a greater variety of players, including companies from key oil-consuming nations in Asia. The capacity expansion plans come at a time when short-term oil supplies remain under scrutiny. Adnoc didn’t specify where the additional production capacity will be installed, but the company is presently on track to raise capacity to 3.5 mbpd by the end of the year. New capacity additions from fields being expanded under the emirate’s onshore and offshore concessions and others should take Adnoc’s output to roughly 4 mbpd by 2020. Further expansions and development of new finds, including from Abu Dhabi’s first-ever licensing round which will see awards in the first quarter, will contribute to reaching the 5 mbpd target. "We continue to optimise existing assets, as we are doing, while bringing on stream additional from giant fields such as Upper Zakum and new developments between now and 2030," an Adnoc spokesperson says. Abu Dhabi is seeking to boost its gas output to meet rapidly rising domestic demand, which is being driven by an expanding economy and a growing population. Adnoc has previously set a target of self-sufficiency in gas supplies by 2030. It is looking to step up development of its more abundant, but costly and technically challenging gas resources, including sour gas and unconventional gas. Adnoc may invest as much as $20 billion to tap more of Abu Dhabi’s sour gas resources by targeting fields such as Hail, Ghasha and Delma that could produce up to 1.2 billion cubic feet per day of gas. "The gas strategy will sustain LNG production to 2040 and allow Adnoc to seize incremental LNG and gas-to-chemicals growth opportunities, where they arise, from the UAE’s dynamic demand/supply position and evolving energy mix," Adnoc says, adding that its integrated oil and gas strategy would underpin its $48 billion downstream investment initiative. For Adnoc, the new year has charted the same course adopted in 2018 by most national oil companies in the Arabian Gulf, which is a significant pivot towards two streams viewed as more valuable than crude gas and downstream. 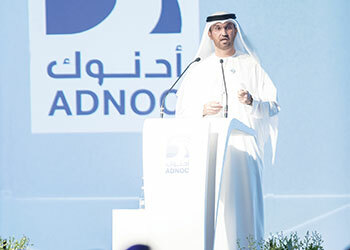 Adnoc, which found itself busy in the first half of last year awarding concessions to international oil companies and launching its first licensing round, was occupied during the latter half shaping its strategy on boosting its refining and petrochemical capabilities and ramping up gas production. While some of the major investment strategy decisions taken last year happened when oil prices rallied to three-year highs of $70 per barrel for Brent, it would be interesting to see which segment downstream or gas would receive the highest priority going into 2019. Robin Mills, chief executive at consultancy Qamar Energy, noted that prioritising gas development would rank higher on the agenda for Adnoc, particularly as much of power generated in the UAE is gas-fired, with newer supplies likely to be fed into the domestic grid first. The gas strategy is very important, the oil licensing round is the third most important. It will put gas ahead in terms of the size of the economy and impact on the economy, he says. The downstream could be scaled back if the market conditions change. However gas is critical to the power sector. 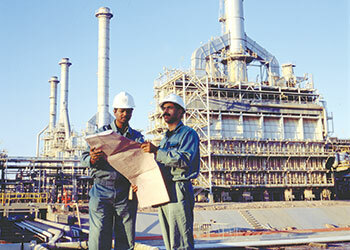 Iman Nasseri, managing director, Middle East at consultancy Facts Global Energy (FGE) observed that the UAE, which is compliant with Opec output cuts, would continue to raise production capacity and commit to upstream spend, while at the same time rolling back output in accordance with the global oil pact. The Opec+ alliance, comprising members of the oil exporters group and producers led by Russia, agreed in December to trim output by 1.2 million barrels per day starting January, with a view to revisit the agreement in April. "We forecast the UAE production to drop in January by over 100,000 bpd from October level (in line with Opec+ deal) and to remain flat at near 3 mbpd (for) the (whole of) 2019," says Nasseri. 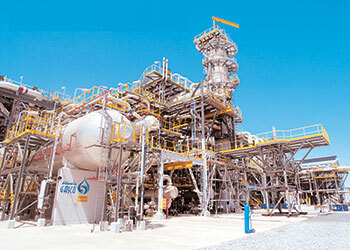 Upstream investment in expanding production dominated the first half of the year for the state-owned company - Adnoc awarded stakes worth a collective $8 billion (Dh29.38 billion) on blocks offshore Abu Dhabi to international oil companies, as it split the Adma-Opco concessions, since renamed Adnoc Offshore, while retaining a 60 per cent share.